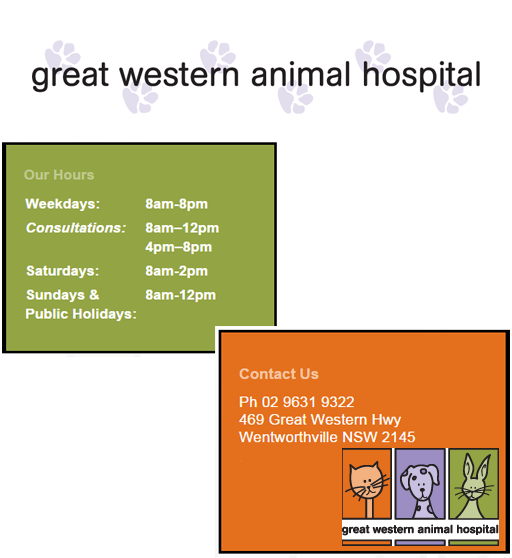 At Great Western Animal Hospital we know how important it is that your 4 legged family member receives the best possible care and attention. Whether you visit us for your pet's annual health check and vaccination or if in the unfortunate circumstance that they are unwell or injured you can be rest assured that we will treat them as one of our own. 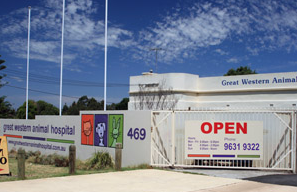 Our veterinary team are friendly and approachable and realise how important good communication and client education is. We take the time to be thorough, treat every patient as an individual and work with you to achieve the best possible outcome for your pet. We offer a large range of professional services and advice ranging from flea and worming programs to management of difficult conditions such as cardiac disease, diabetes and cancer therapy. Our hospital is fully equipped with diagnostic and surgical facilities and we can perform high quality soft tissue and orthopaedic surgery. 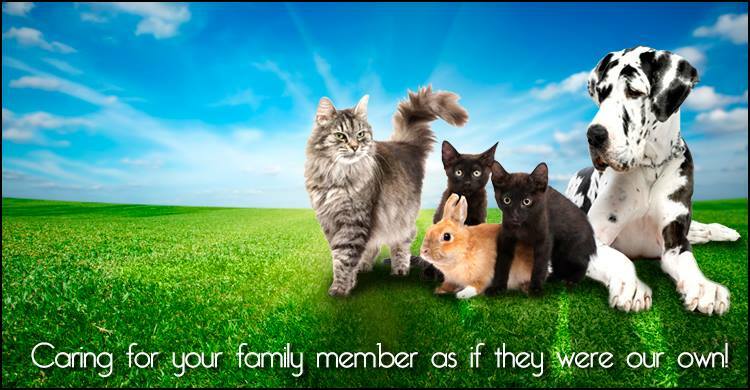 We also offer on-site boarding for cats and a house call and patient transportation service. If you would like to visit us, please call for an appointment as this will save valuable waiting time and reduce stress for your pet. Please make sure for their own safety that all dogs are on a leash and cats are in a carry cage.